Embarrassment. It’s a common emotion I hear from marketers after reading or watching a MarketingSherpa case study. 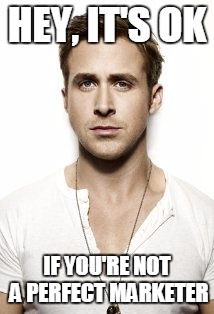 Because no one is. Even here at MarketingSherpa, our reach is further than our grasp. There is so much more we’d like to do to improve our own marketing. Which is why there was more than a little schadenfreude when we received an impressively erroneous direct mail piece from Google trying to use its hoards of data to personalize a message to us that would convince us to buy AdWords. In Soviet Russia, Google search YOU! Google is famously data driven in every aspect of its business. 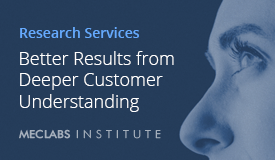 Well, an algorithm dove into its giant base of data and came up with the following ad mock-up, which was used as an image in the direct marketing piece to MECLABS Institute (the parent research organization of MarketingSherpa). 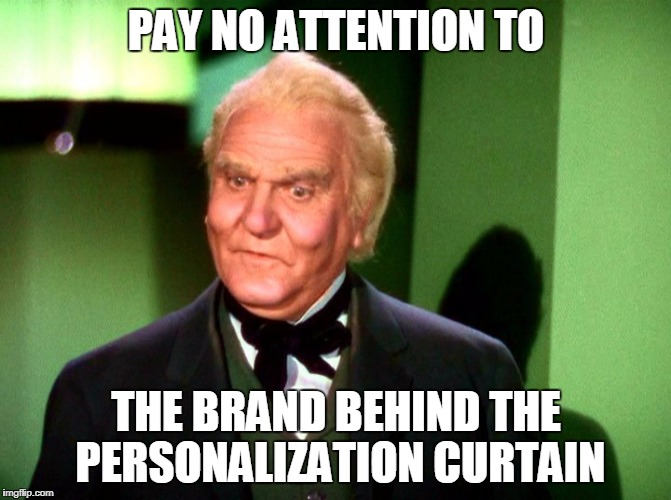 Personalization can be an effective but challenging tactic. If you’ve ever struggled with personalization, take heart in Google’s hilarious mistake in a recent direct mail piece to our organization. 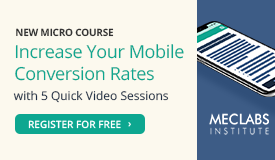 And then learn a few lessons from that mistake to improve the accuracy of your own personalization efforts. I’m sure the marketers at Google wanted to use personalization (powered by its impressive trove of data) to show us just how compelling a Google ad would be for our organization. Obviously, I’m not picking on Google. It’s an amazingly impressive organization. The Googlers categorized the internet. They’re working on a driverless car. They even rent grazing goats as a pollution-free way to mow the lawn at the Googleplex. So here are three things to look out for in your data to help ensure you create more accurately personalized direct mail, email, and everything else. 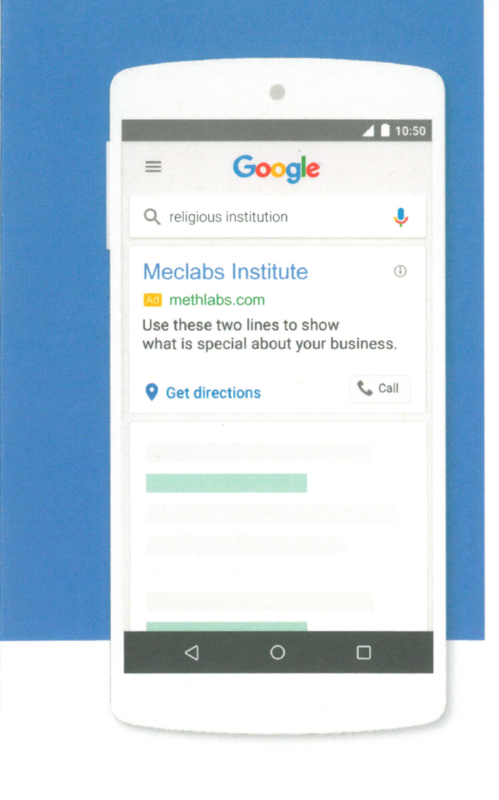 The age of the data – In this case, “Religious institution” was previously listed in the search box of the faux ad Google sent us because MECLABS Institute was erroneously listed as a religious institution in the Knowledge Panel on the Google search engine results page. However, it has since been updated to correctly list us as “Research institute in Jacksonville, Florida.” How old is the data you’re pulling from in your personalization fields and what error may that cause? 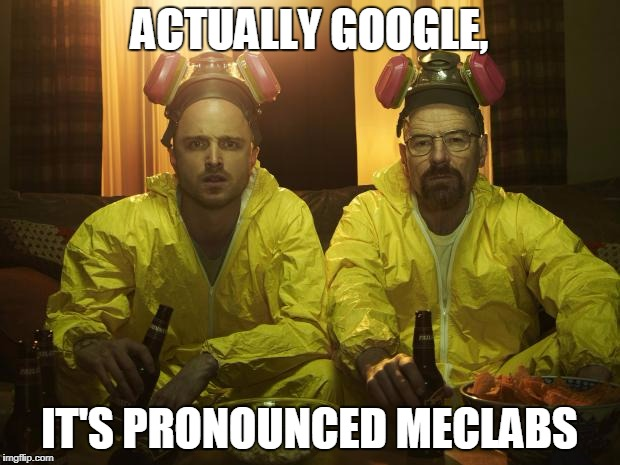 The source of the data – Our website might have been listed as methlabs.com because someone used an online Google AdWords generator and filled in methlabs instead of MECLABS as a joke. What is the source of your data? For example, transactional data is likely more accurate than engagement data since customers want to ensure their orders are accurate when they are spending money.Consumer-sourced data that represents the individual publicly in some way is likely more accurate than consumer-sourced data from a random online tool (e.g. LinkedIn versus a meme generator). And, you have a better understanding of how accurate first-party data is than third-party data (of course, that doesn’t mean your own data is higher quality, it just means you better understand the flaws). 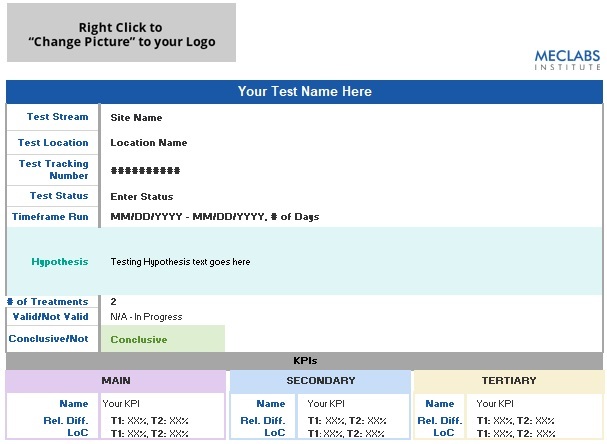 The formatting of the data – MECLABS could have been correctly capitalized in Google’s database (as it is in our Knowledge Panel listing), however when it was pulled into the personalization tool, there might have been default capitalization of the first letter of every word (like most companies are displayed). You have to understand not only how the information is displayed in your database, but how that will translate into your email, direct mail or other marketing piece. Keep in mind that data isn’t magic. And neither is software. A true craftsman doesn’t blame his tools, but he doesn’t blindly trust them either. This is a common mistake throughout my life, and unless your last name is Smith, Jones or Johnson, I’m sure you can relate. However, when I pointed it out to the rep at the booth, he proceeded to explain to me that it was, in fact, correct because they were an official sponsor and were sent all of the names from the official registration list. When in doubt, trust your customer over your data source. While personalization is a way to grab the customers’ attention, if you deliver inaccurate personalization, you lose trust with the customer (especially when you accuse them of not understanding how to spell their name or running a meth lab). Take heart from Google that no company is perfect, but at the same time, make sure you have at least a basic understanding of how your personalization program works with some rudimentary safeguards in place. Marketing 101: What is deduping? Marketing 101: What is a GIF?